NEW YORK (Reuters) - A federal appeals court on Friday said Facebook Inc officials including Chief Executive Mark Zuckerberg cannot be sued by shareholders who said the social media company concealed threats to its growth prospects before its May 2012 initial public offering. The 2nd U.S. Circuit Court of Appeals said investors who lost money on shares they bought after the $16 billion IPO lacked standing to sue Facebook directors and underwriters led by Morgan Stanley, over alleged inadequate disclosures made before the company went public. Shareholders said Facebook should have publicly revealed its internal projections on how increased mobile usage might reduce future revenue, rather than quietly warn its underwriters, which then cut their earnings forecasts. They said the stock price was "hammered" after the truth came out. Circuit Judge Dennis Jacobs, however, wrote that the plaintiffs could not have owned Facebook shares before the IPO, and thus could not demonstrate "contemporaneous" ownership while the directors were breaching their fiduciary duties. "A proper plaintiff must have acquired his or her stock in the corporation before the core of the allegedly wrongful conduct transpired," Jacobs wrote for a 3-0 panel. The decision upheld a February 2013 dismissal of the so-called derivative litigation by U.S. District Judge Robert Sweet in Manhattan. Sweet also oversees shareholder class-action litigation against Facebook itself over the IPO. A Facebook spokeswoman said the Menlo Park, California-based company is pleased with the decision. The defendants also included Facebook Chief Operating Officer Sheryl Sandberg, Goldman Sachs Group Inc and JPMorgan Chase & Co, among others. Andrew Clubok, a Kirkland & Ellis partner representing them, declined to comment. Facebook began trading on May 18, 2012 after going public at $38 per share, only to see its share price fall to $17.55 on Sept. 4, 2012 and stay below the IPO price for more than a year. The price has kept rising, and peaked at $99.24 on Tuesday. Nasdaq OMX Group Inc in April agreed to pay $26.5 million to settle shareholder litigation over technology problems that plagued the IPO. 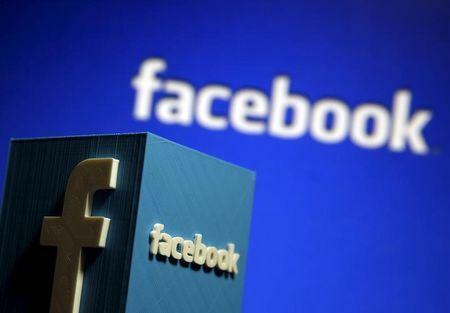 The case is In re: Facebook Inc Initial Public Offering Derivative Litigation, 2nd U.S. Circuit Court of Appeals, Nos. 14-632, 14-1309, 14-1445, 14-1784 and 14-1788.